If you read the blog post from Google Chrome Releases, you might say there's no significant new feature in Google Chrome 7 Beta. It's the first major version after Chrome's team changed the release cycle to 6 weeks, so the engineers couldn't add too many new features. "A lot of the work that's being done in 7.0 is largely not user facing and in some cases is a legitimate work in progress," admits a Google Chrome developer. So what's new in Google Chrome 7? 1. Web apps are enabled by default, just in time for the Chrome Web Store launch. 2. Web apps are synchronized, like regular extensions and themes. 3. A slightly updated new tab page, with support for web apps. 5. about:labs, a new page that includes experimental features. The Windows version includes a single feature: "side tabs", which lets you move the tabs to a sidebar. Did you spot any other new feature? Nice, interesting what's sweet new is waiting for us in future versions. Can some one explain why they increment the main version number that fast? translate bar has one more button: translate, no, never from this language. @Alex: How you do enable the Web App Store in the New Tab, is it behind a flag? Please post the string. 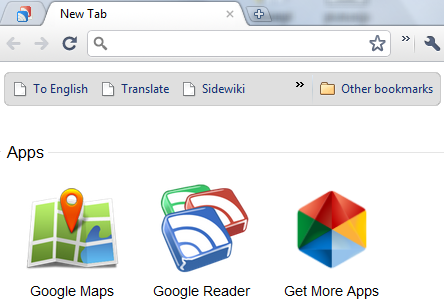 I don't see the Apps section on the new tab page, either. I've tried on both Ubuntu and Windows. Also, what does your first point ("Web apps are enabled by default") mean, Alex? You can see a list of web apps only after installing at least one. "Web apps are enabled by default" means that you no longer need a command-line flag to enable them. Here's an example of web app for Google Reader: reader_app.crx. How do I get more apps? clicking on the 'get more apps' cube just brings me to the extensions gallery. Hey, I like how the new New Tab works. If you expand either the Web App Store or the Most visited paned, the other collapses. PS Hmm... I wonder how easy it is t make a Chrome web app? I would make one for Delicious, it's my homepage and would like an quick and easy way to access it (right now I have a bookmark in the Bookmarks Bar). So I don't need to keep a separate window open for Gmail any more, now I can always have it on the left hand tab. Except... there's no way for me to see if someone's trying to chat with me, is there? Chrome v7 also has GPU acceleration, huge improvement. It's not very difficult to create a crx file for a web app: you only need one or more icons and a manifest file. Read this guide. Drag n' drop web page content into Google Docs. Not sure if this is new. I haven't seen it. I'm using dev edition. The other day I was going to copy some text from a web page, accidentally nudged the mouse and noticed the text being dragged. Had a Doc open on another monitor so I continued dragging into the Doc and sure 'nough it took the drop. Nice! I think what I need is a hosted web app. I'm annoyed that there is no way to close "Most visited" and "Recently closed" on the new tab page. That especially goes for huge preview thumbnails. GPU acceleration is not enabled and there's no support for APNG images (not even in Chromium). about:labs - Instant / Makes the address bar load urls as you type. Google announced HW acceleration earlier so its must to be in Chrome 7 (at least partially). and i think it will be contains the new WebP fileformat too. Is color profiles finally enabled in this release of Chrome? Already tested it out in the past dev version. Too bad I got tired of waiting for this and just uninstalled and found out just how good IE9 beta is. I wanted the App Tabs, but IE9 lets you pin websites to the Taskbar, which is even better! Maybe next year, or so. @Alex Perhaps I misunderstood your post, but it sounded like you were saying that the App Store is open...but it's not. Also, the gmail app and the others still display the omnibox and bookmarks bar, so right now they are no different from a 'pinned tab' aka a tab that only shows the favicon and stays on the left side of the other tabs. A non-user-facing feature that will result in some great user-facing extensions is an updated Extensions API for Chrome 7 (I think it started with 7, possibly 6) that includes that ability for extensions to interact with the contextual menu. more features (for some users) you left out involve how Chrome 7 has (and is getting) better integration with OS X. It has (the start) of a real applescript dictionary, allowing system wide scripting of Chrome. It has also enabled Services. And (my favorite), it has enabled the "Look up in Dictionary" contextual menu item that is standard among OS X apps. I'm with the latest Dev version of Google Chrome and I have noticed Instant in about:labs page. Not only you can switch it on/off from there, but Google Instant in Chrome is working even with custom search engines I have made in Chrome. For example I have a search engine for Wikipedia with keyword 'w'. When I type 'w some keywords....' Wikipedia articles start changing in front of me. Rearranging the extensions icons from the toolbar it's a new thing? I don't get it... The apps are on the new tab page but when I click them it doesn't add it to the tab bar. Can someone help me? What is the method to "Uninstall = Remove", Chrome Plugins, which are installed here (chrome://plugins/). The same method you've used to install the plugin: usually running a setup file. For example, you can remove the QuickTime plugin by uninstalling QuickTime Player. This will remove the plugin from all your browsers. 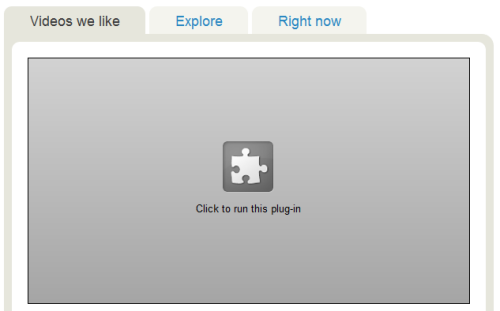 If you only want to disable a plugin in Google Chrome, there's an option to do that on about:plugins. Chrome Web Store to Be Launched Soon? Does the World Need Another Mobile Platform?